Here's the front cover of a 1923 Kodak catalog that I own. The cover isn't in particularily good shape with a rather large hole in the upper right above the fellow in the chair and various stains elsewhere. Click on each image to get a larger version. Here's the inside front cover of the same catalog. This is the second of three pages with severe damage (bad enough to completely obscure more than a few letters here and there). Here's pages 14 and 15 of the same catalog.  These pages depict the Nos. 2C and 3A Autographic Kodak Juniors. 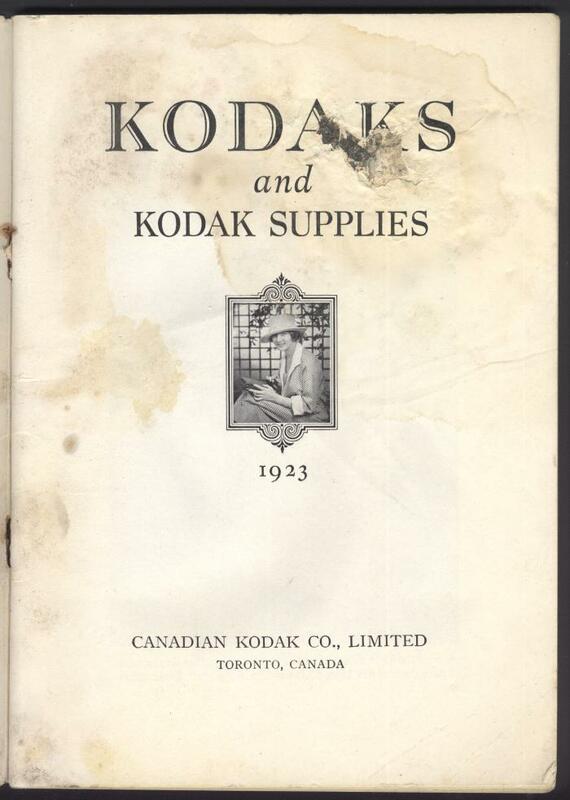 I own a Kodak No. 3A Autographic Junior (with a carrying case and the Anastigmat Lens f.7.7 but without the Ilex Universal Shutter). The camera is in excellent condition. 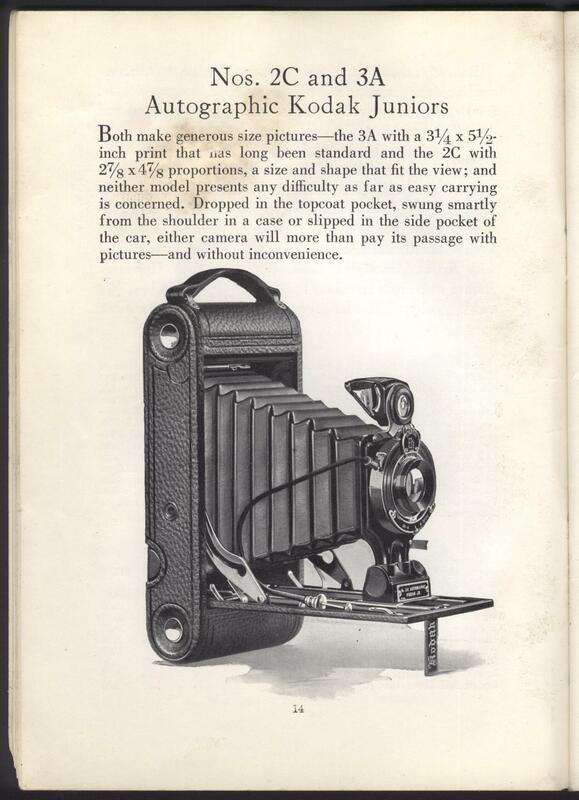 In fact, when I received the camera as a gift from my father, I found the brochure described here in the case. 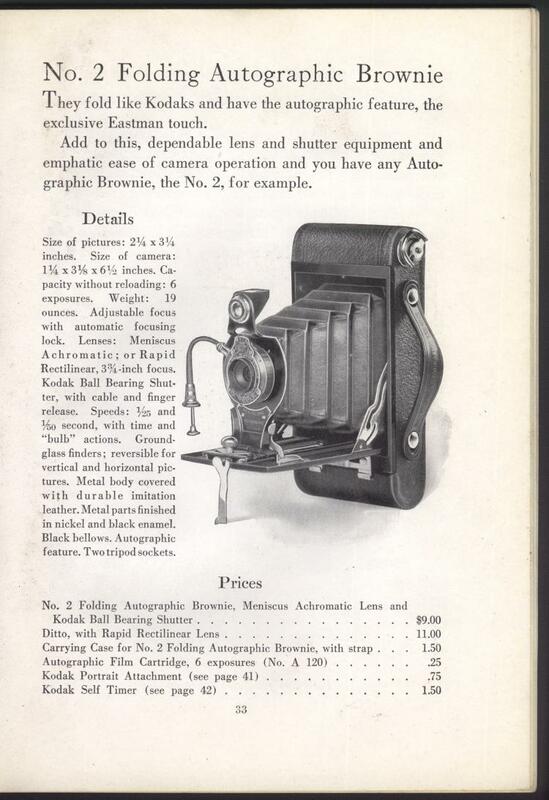 The age of the brochure (probably 1920 to 1930) and the fact that it was in the camera case suggests that the camera was seldom used after about 1930 (this particular model of camera was in production from 1918 to 1927). Note that the damage first visible on the front cover extends to these pages as water stains (page 22 of the 64 page catalog is the first page without any visible damage). 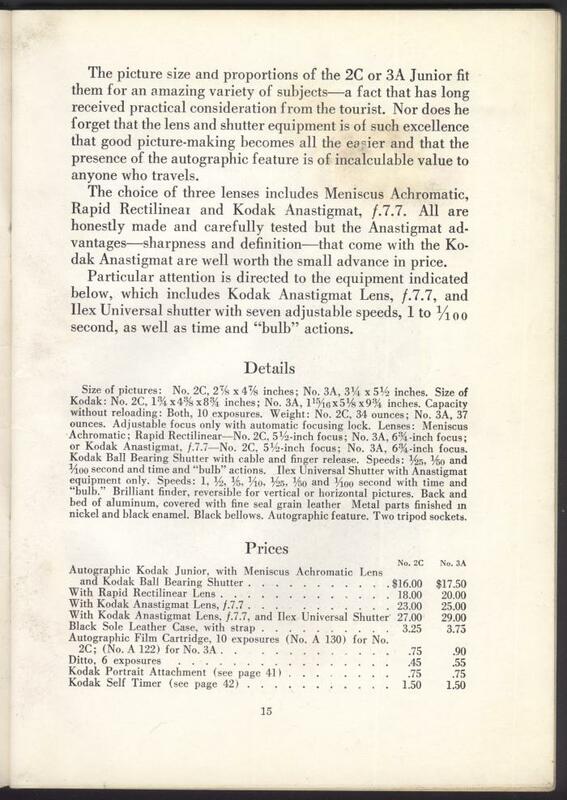 Here's page 33 of the same 1923 catalog. It depicts a No. 2 Folding Autographic Brownie which is another camera in my collection (I've got the basic model with the ball bearing shutter). 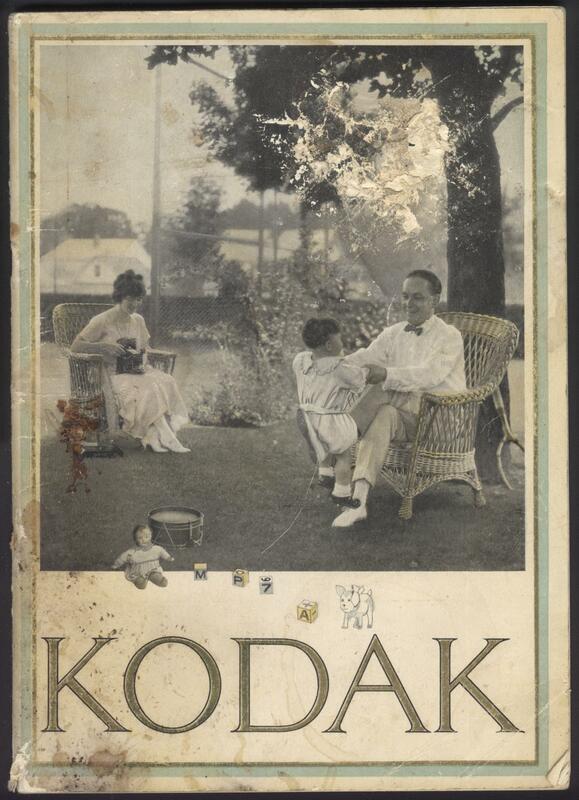 Here are a few images which don't come from the Kodak catalog. 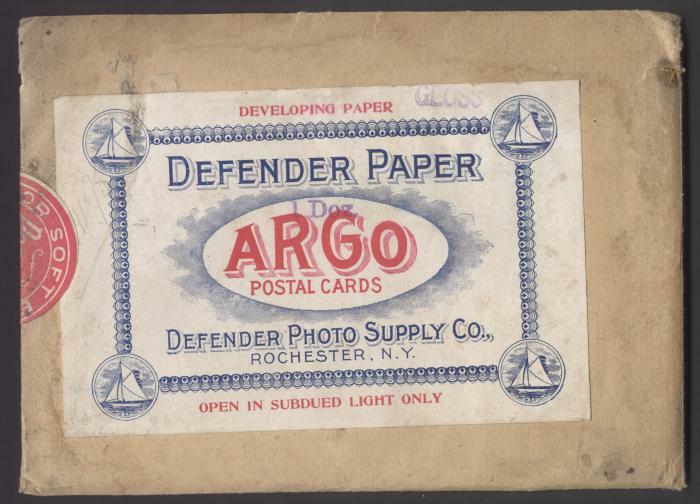 The first two are the front and back of a package of photographic paper in my collection. 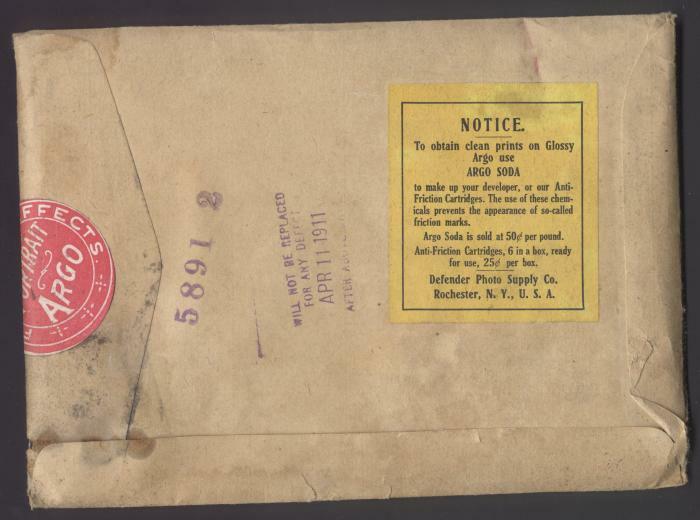 The third image is a blowup of the warning on the back of the package which indicates that the paper's warranty expired on April 11, 1911. Although the glue on the outer envelope seems to have failed, the inner packaging is still intact (i.e. 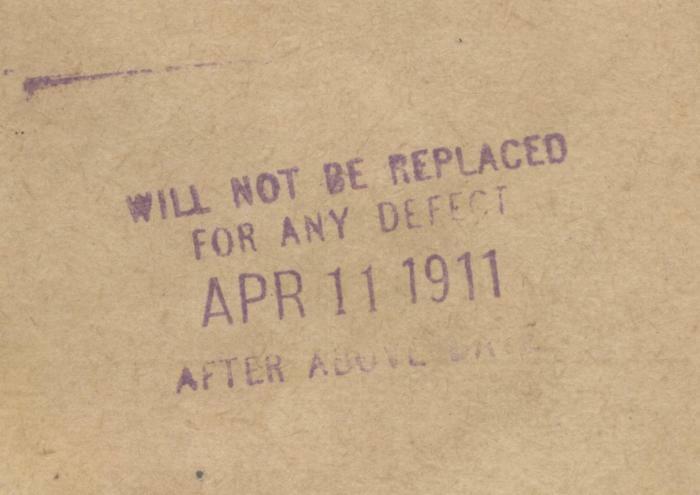 it is possible that the paper is still usable).